Fully automatic weighing, mixing and metering systems for resin preparation. The IFA compact units are complete, pre-mounted ready for operation weighing, mixing and metering plants for the production of impregnation resin. You can dose up to ten additive components and up to four resin components. The resin circulation system designed by IFA Technology supplies the impregnation unit respectively the coater circulation system. It is possible to add up to three separate consumers. 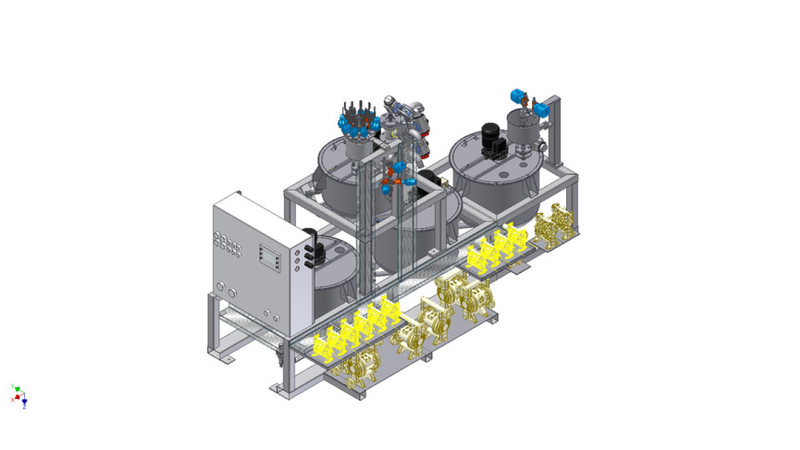 The successful compact solution line has been expanded to grant our customers a maximum profit due to the absolute consideration of the existing plant&apos;s environment. Here you can design your compact unit according to your requests.